Broadway Academy students look professional in their class uniform. Wearing the correct uniform with pride to each and every class and performance encourages good presentation and grooming which is so important in the theatre and also in the outside world. * Dance shoes can be purchased from Capezio Dancewear Mornington, 12-14 Milgate Drive Mornington. 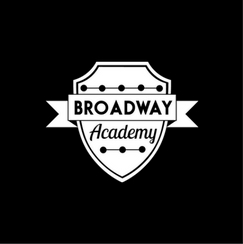 Mention that you are from Broadway Academy and they will know what you need. ** Black leggings/shorts can be purchased from Target, Big W etc.. any length is fine.